SRF not only wants its own way in everything: it wants a monopoly on that way. I founded the first Ananda community in 1968–69 in obedience to my Guru’s will. SRF and its members tried repeatedly for years to undermine the loyalty of Ananda members to me and to my understanding of his teachings. They failed in those efforts. In 1990, therefore, SRF determined to enforce their will on me through the law courts. a) In January of that year, Ananda formally changed its name to Ananda Church of Self-Realization. Because “Self-realization” is, in fact, Master’s own definition of his mission, I felt that, out of loyalty to him, we needed to include that concept in our name. The following month I wrote a book compiling some of Master’s words, of which, on his urging, I’d kept a careful record. 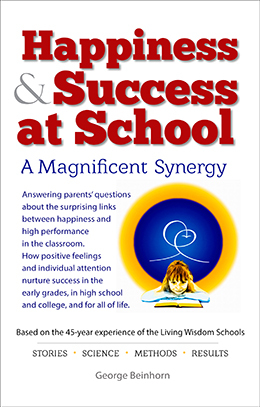 I named this book, The Essence of Self-Realization. Two weeks passed. Then I received the first salvo of what was to become a twelve-year legal ordeal. c) The law firm they hired to represent them was Gibson, Dunn & Crutcher—at that time, at least, the third-largest law firm in the world. 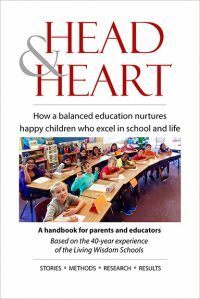 Ananda, by contrast, hired a sole practitioner, Jon Parsons, who hadn’t even a secretary. The reason we chose him wasn’t only that we lacked the necessary funds to hire a large firm, but also that I knew Jon, personally, for a man of integrity. d) The cost to us in the end, even with all our own work, came to some twelve million dollars—donated or loaned by people whose faith in us was firm. e) According to my reasonable estimate of SRF’s costs, they must have spent not less than 50 million dollars on their case. It was a veritable David and Goliath struggle, with SRF trying to bash us out of existence, and us struggling merely to stand our ground. Unlike David however, we had no wish, and never made the slightest attempt, to kill or even to harm, the Goliath that was Self-Realization Fellowship. f) SRF lost, legally, on issue after issue. To keep their lawsuit going they appealed every decision to a higher court. Finally they took a part of their case all the way up to the U.S. Supreme Court. Fortunately for us, that court refused even to consider their appeal, but mailed its refusal casually by postcard. h) SRF tried also by lies, fabrications, and exaggerations to deprive me of all honorable standing in the world. Their effort culminated in 1994 in the filing of another lawsuit, which was ostensibly against an Ananda minister, but which immediately zeroed in on me alone. Even though SRF’s name was carefully omitted as plaintiff in this case, we had ample evidence that that organization was intimately involved in it and was in fact behind it. As the first case trudged its way through twelve years to final trial, we demanded of the discovery judge, Nowinsky, the right to take Daya’s deposition. (A deposition is an interrogation by the opposition’s lawyers, taken under oath, but out of court.) SRF’s lawyers fiercely resisted our demand. Finally the judge remarked, “The very fact that you are resisting so intensely makes me think you have something to hide.” He ordered Daya to be deposed. i) Daya then, desperately anxious to avoid deposition, invited us to a meeting in Pasadena. At that meeting she radiated sweetness, kindness, and love. She completely disavowed any intention of initiating more lawsuits against us. She began her disavowal by stating that Master himself had appeared to her in a vision and commanded her, “Settle!” Every Ananda member in that room very clearly remembers this statement of hers. We remember also the way she smiled with great charm while stating, “No more lawsuits!! !” Her expression radiated so much sincerity that not one of us could doubt that she was being anything but truthful. Her later actions, however, proved her to have been not only untruthful, but utterly duplicitous. j) She seemed eager at that Pasadena meeting to make friends with us, and to compensate for the ruthless way she had treated us until now. Naively we granted her request, and canceled her deposition. I think it would be no exaggeration to say that they would have been pleased to see me collapse with a heart attack. k) Several years later, a woman who had been high up in SRF told us that she had personally heard Daya state to a small group after that Pasadena meeting, “That’s the last time I’ll ever see him again!” In stating this, she displayed no charm at all. l) SRF’s spirit of reconciliation lasted only long enough to obtain our agreement to cancel Daya’s deposition. Despite her disclaimer of wanting “no more lawsuits!”, the second case continued to be prosecuted with full force, and (once again) with numerous barefaced lies. The first lawsuit lasted another five years; the second one, which had begun in 1994, finally ended the next year. After several hours of discussion with both groups, he ended up saying to us, with reference to SRF’s leadership, “Well, we must be compassionate!” What an extraordinary thing for a lawyer to say, after failing to get two spiritual groups to find some way to peaceful coexistence! o) Finally, the case went to court. SRF’s lawyers, in their closing arguments, demanded an award of 33 million dollars—a sum that SRF knew would wipe us off the map. To the very end, they never gave up! What they actually did get out of us, in the end, was $29,000. And this amount I gave them simply in order to get them off our backs. p) I granted them this “consolation prize” because I’d seen how determined they were to rescue at least one coal from the fire. The only way, I realized, to get them finally to relent would be to surrender on some very minor issue. The concession would put them in a position (of which they later took full advantage) to claim, “We WON!” Though I handed them this minor victory, I have no doubt that we could easily have won this point. The victory, however, would have cost us more than we cared to pay. This point concerned the copyrights of Master’s recorded words, a few tapes of which had been given to me years earlier by a friend in Italy. The originals had been privately gifted to that friend by Dr. Lewis. In point of fact, I had done the world a favor in publishing those six tapes, for SRF had until then released only one recording of his spoken words. The actual financial damage to the organization was nil. My releasing of these tapes forced them to release other tapes, also. 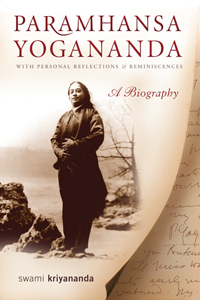 Thus, the world has since then become aware—in many cases, for the first time—of what Yogananda’s voice actually sounded like, in all its sweetness and power. q) Naturally, SRF touted this relatively trivial gain as a major victory! “We WON!” they announced, as I said above, to their centers around the world. The whole story of this lawsuit, and of the second one also, is the subject of an excellent book by our lawyer, Jon Parsons. It will be published at about the same time as this book. Jon has named it, A Fight for Religious Freedom. 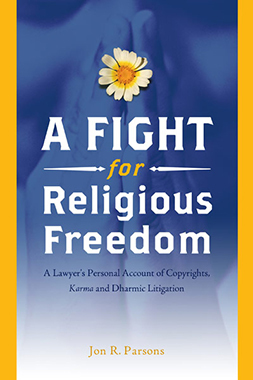 Its subtitle will be, “A Lawyer’s Personal Account of Copyrights, Karma, and Dharmic Litigation.” It will be published by Crystal Clarity.